Numerous modeling and simulation tools, frameworks, and environments support domain experts with the implementation of spatiotemporal simulation models. The implemented models are usually bound to specific tools, because specific modeling languages, simulation engines, or processing platforms have to be used. To improve model reusability, we propose an implementation approach that applies Model Driven Engineering (MDE). In this approach, a simulation model is described on three different levels of abstraction. Starting from an abstract description of a simulation model by the modeler, this model is automatically transformed through all levels into executable code. In contrast to common implementation technologies, the intermediate steps of the transformation are clearly and formally defined by metamodels. 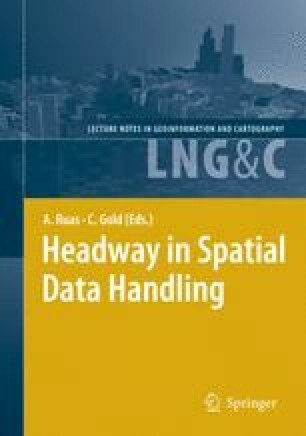 For model execution, existing general purpose simulation and spatial data processing frameworks may be used. In this paper, the three-level approach and its application to the modeling of cellular automata are described. Partial metamodels and transformations are presented for two of the three levels. The MDE-approach provides means to enhance model reusability and promotes transparency in simulation modeling. Moreover, a tight integration of simulation and spatial data processing can be realized by synthesizing executable software which is composed of generic spatial data processing and simulation functionality.